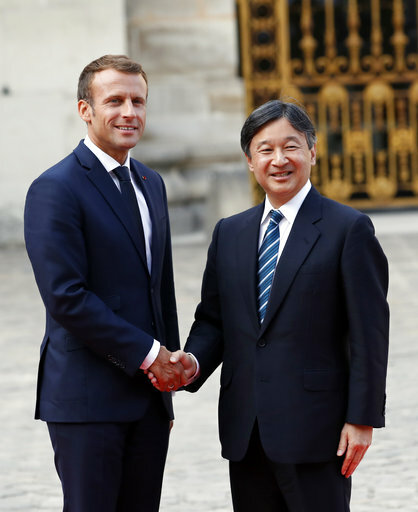 VERSAILLES, France (AP) — French President Emmanuel Macron and his wife Brigitte are hosting Crown Prince Naruhito, Japan's next emperor, at the Chateau of Versailles. 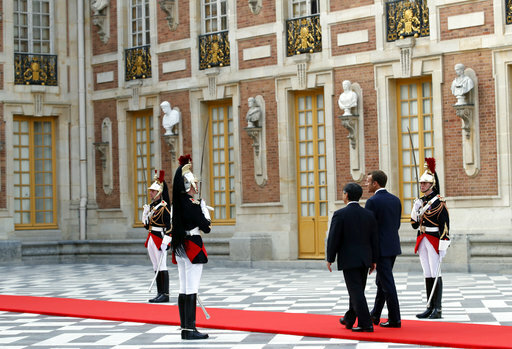 The official dinner on Wednesday evening is one of the showpiece moments of the prince's nine-day goodwill visit to France. 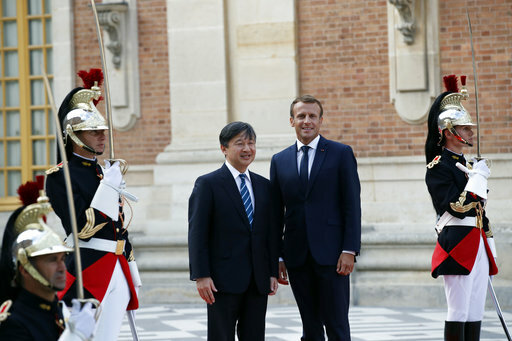 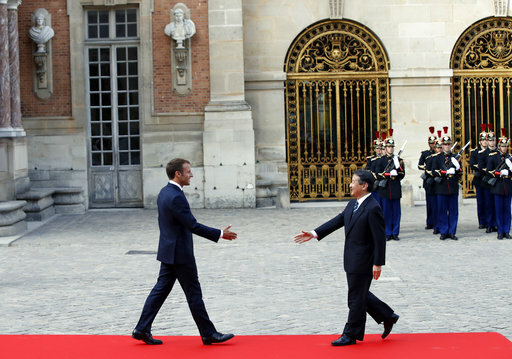 Macron and Naruhito first attended a theater performance together at the sumptuous palace west of Paris. 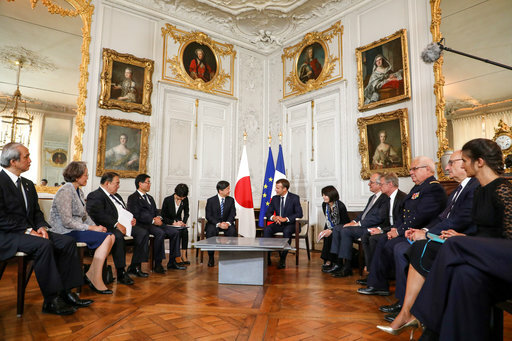 The 58-year-old prince will inherit Japan's Chrysanthemum throne when his 84-year-old father, Emperor Akihito, abdicates next year. 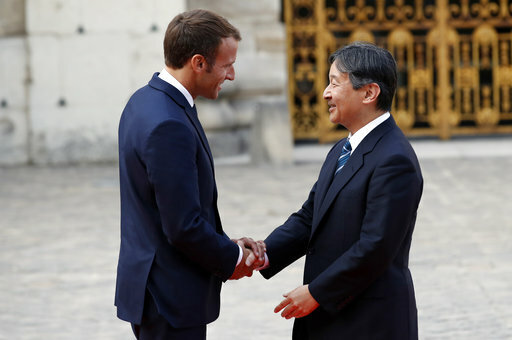 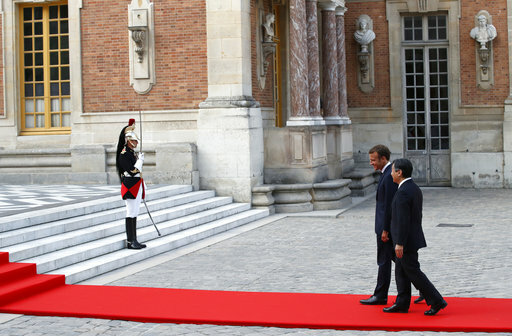 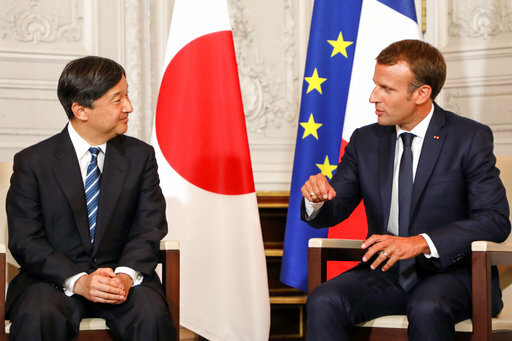 Naruhito's trip marks 160 years of diplomatic relations between France and Japan.